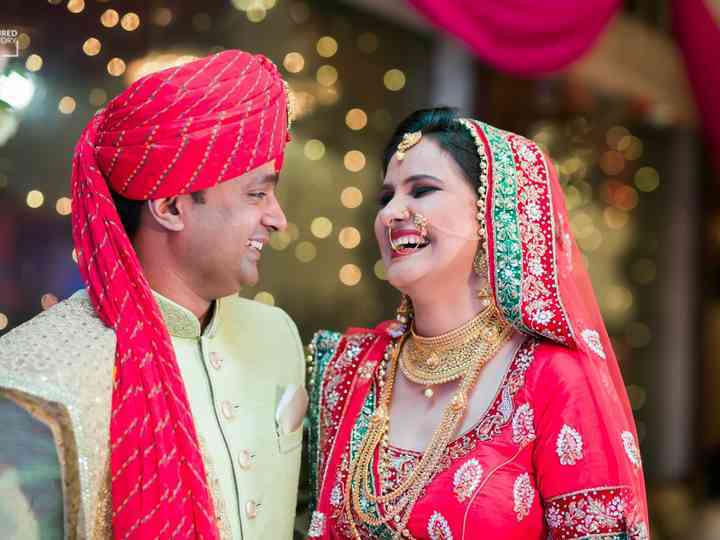 Awadh Greens is a venue located in Noida, which combines perfect location, efficient event planning and pleasant environs to create a delightful wedding experience. 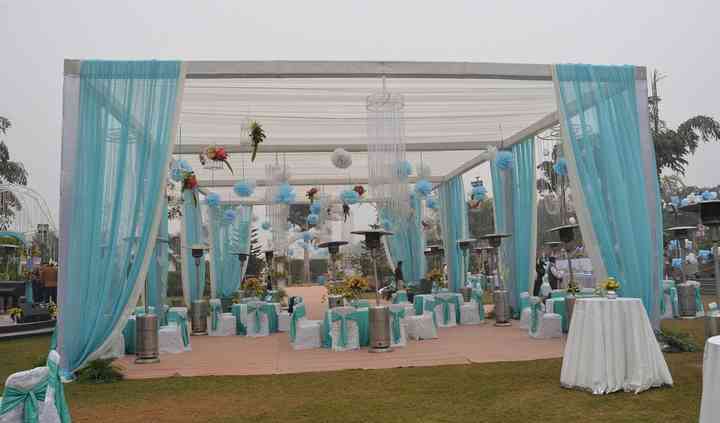 They provide all-encompassing services, from setting up to tearing down, from budgeting to event management. Awadh Greens provides experts for every step, every stage of the event to make you feel relaxed, contented and ready to enjoy your occasion with your family and friends. 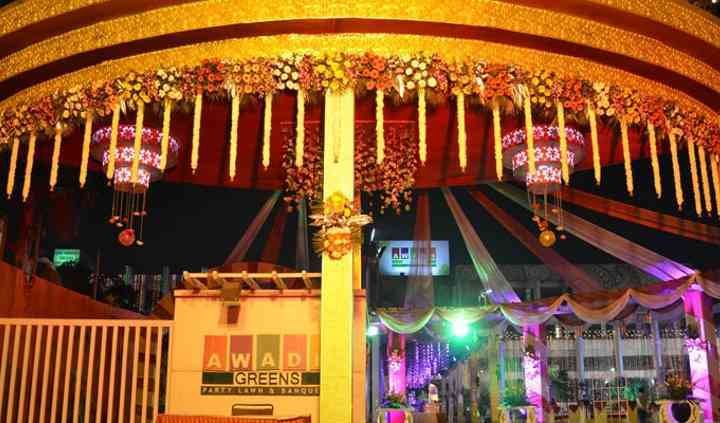 Awadh Greens will serve as a perfect venue for all your events and functions and will make them lively. This location has two venues for outdoor and indoor events - a banquet hall with modern interiors and luminous ambience with a seating capacity of 200 and a grand, green lawn suitable for parties and grand celebrations, which can accommodate a 1000 guests. There is also changing rooms for the bride and the groom and the venue has parking space for six hundred cars with valet service. Apart from being the most sought-after wedding venue, Awadh Greens is also an ideal location for other social events and many other events. 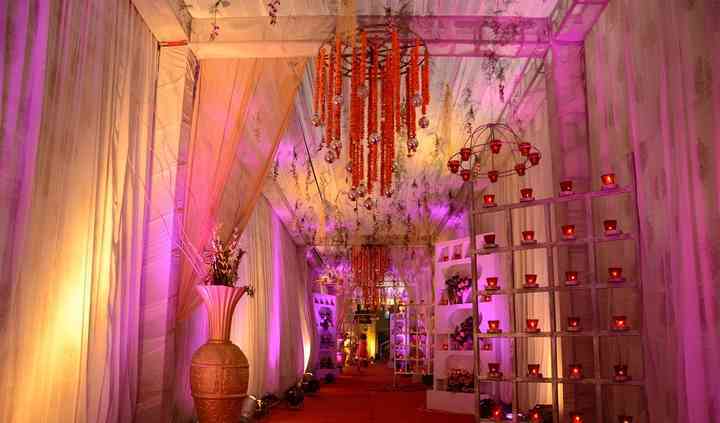 Awadh Greens offers complete event management solutions for themed based decor, perfect layout, lighting and entertainment. It also has an in-house catering service, providing personalised multi-cuisine menus, prepared by experienced staff and will be served with attention and grace. 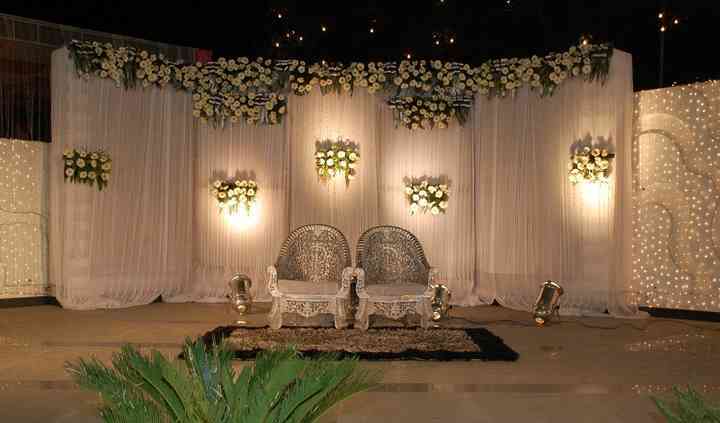 The Awadh Greens ensures that you have a splendid wedding and all your guests enjoy themselves at the venue. Transportation services are also provided at Awadh Greens. They also have a bridal room for the bride to do her last minute touch-ups and makeup.